Hortense Rouvier has specialized over the course of the past 17 years in merger & acquisition work and in corporate restructuring and reorganizations. Hortense’s practice focuses on venture capital and expansion capital investment and divestment transactions and LBOs. 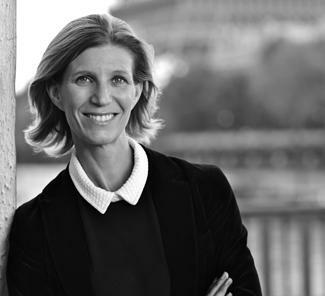 She honed her skills working for international law firms (Gide Loyrette Nouel, Paul Hastings Janofsky & Walker LLP), and for the Private Equity department of a leading French investment bank (Société Générale Asset Management, now Amundi PEF). Her dual approach to legal issues enables her to provide pragmatic solutions tailored to the specific needs of her clients, who are French and international groups across different sectors of the service industry, investment funds and private investors, as well as managers of high added value innovative projects, such as in the field of new technologies. Hortense joined Lawways in September 2009 to set up Lawways Corporate. Hortense is licensed to practice by the Paris Bar (CAPA exam, Paris Bar Professional Training School – 1998), and holds a DEA post-graduate degree in Business Law (Panthéon Assas University, Paris II – 1997).